On 2 March 1998 ten-year-old Natascha Kampusch was snatched off a street in Vienna by a stranger and bundled into a white van. Hours later she was lying on a cold cellar floor, rolled up in a blanket. When she emerged from captivity in 2006, having endured one of the longest abductions in recent history, her childhood had gone. In 3,096 Days Natascha tells her amazing story for the first time: her difficult childhood, what exactly happened on that fateful morning when she was on her way to school, her long imprisonment in a five-square-metre dungeon, and the physical and mental abuse she suffered from her abductor, Wolfgang Priklopil ? who committed suicide by throwing himself under a train on the day she managed to make her escape. 3,096 Days is ultimately a story about the triumph of the human spirit. 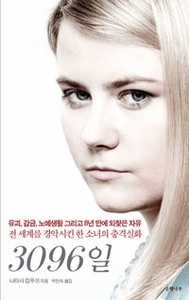 It describes how, in a situation of almost unbearable hopeless, she learned how to manipulate her captor. And how, against inconceivable odds, she managed to escape with her spirit intact.